PAC-MAN 256 appeared on mobile devices first, so it's no surprise that three of the developers behind this game are renowned for making mobile games especially Melbourne developer Hipster Whale who are best known for their mobile hit Crossy Road which earned $10 million three months after its release with over 50 million downloads. The game Pac-Man should need no introduction and it's developed into a huge franchise since its release back in 1980. The game has also several imitators as well as spin-offs and while PAC-MAN 256 could be considered one of them, it's definitely one of the better ones. Oh, and why, you might ask, is the game called "PAC-MAN 256"? It's because in the original Pac-man, the 256th level of the game was glitched due to an 8-bit integer overflow causing the level to look all jumbled. The devs of PAC-MAN 256 cunningly used this glitch as a game mechanic and this is why PAC-MAN 256 isn't just another rehash of Pac-Man but its an endless runner as well, similar to Canabalt. 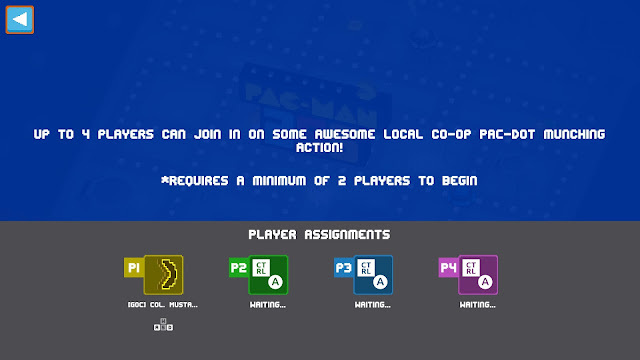 What also makes the game different is the inclusion of a four-player local co-op mode as well as 21 power-ups which are often just different ways of eliminating the ghosts besides the venerable power pellet. Half-way through last year, I was looking for some family-friendly local co-op games to play on my Steam Link: PAC-MAN 256 seemed to tick all the boxes plus it was only $2 USD at the time so I thought "why not?". I've played the game several times since then with two-player and three-player local co-op. So, it's now time for the review! The game has 12 different themes to pick from besides the default, including "80s Pac-Man" and "Crossy Road" themes. As mentioned before there are 21 power-ups to unlock and level up. While most of them are just different ways of eliminating the ghosts (e.g. lasers, flames, bombs, etc.) it's good to have a bit of variety besides the humble power pellet. What makes PAC-MAN 256 special is the fact it's not just another Pac-Man clone, it's an endless runner too, similar to Canabalt. This means the ghosts aren't the only enemies to be worried about and there is always this sense of urgency as you traverse up the map since if you loiter around too long, the glitch will eventually catch up to you and it's game over. I'm sure one of the reasons Pac-Man and indeed many arcade games from the 80s were so popular was that they were simple to learn, difficult to master; PAC-MAN 256 happens to be one of those games since the controls are identical to the original. It's so easy, even a four-year old can figure it out. I've played the game on the Steam Link with my Logitech F710s and I can confirm that it works well. Local co-op is where the game definitely shines. I've had many fun games with my family and there are many tense moments where you're the last player on the team attempting to revive your other teammates while dodging the ghosts at the same time. The game has 10 Steam Achievements to earn along with 5 Steam Trading Cards to collect. The game is also integrated with Steam Leaderboards meaning you can compete with players from around the world for the highest score. While the local co-op screen has enough selectable characters, it would've been nice to have more. 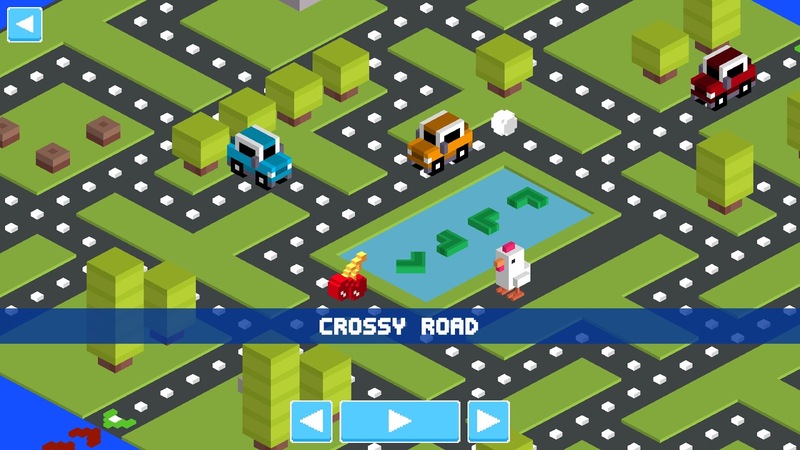 There are only five selectable characters when you play local co-op: three of them are variants of Pac-Man and the other two are a robot and the chicken from Hipster Whale's previous game, Crossy Road. Yes, there's only a maximum of four players for local co-op (so it's not like you're going to have too much trouble distinguishing between them) but it still would've been nice to have more choices. I think this game would become boring quite quickly if you just played single player; the game is better suited as a local co-op game. I mean, there's always high-scores to beat on the Steam Leaderboards but if that doesn't appeal to you, I'm not quite sure what's the point of playing by yourself. If you're looking for a rewarding single-player Pac-man experience, this game probably isn't it, although if you have some friends and family to play with, this game is a blast on the Steam Link. 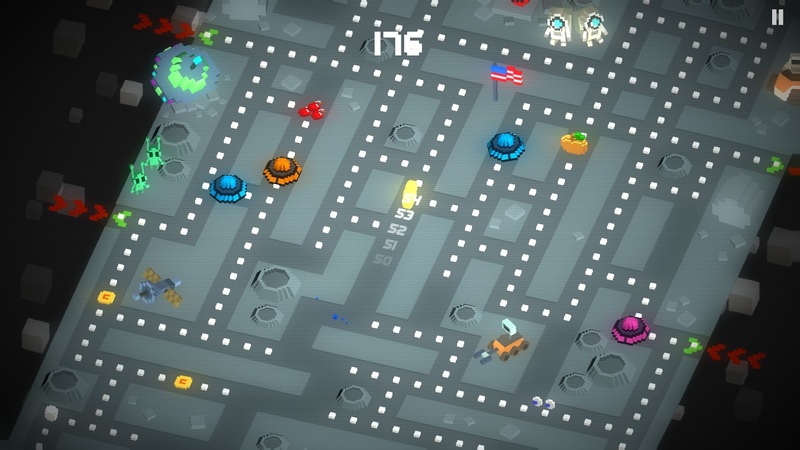 The clever combination of endless runner and the original Pac-Man formula results in a fresh, exciting, local co-op experience that the whole family can enjoy. Is the game worth $4.99 USD? : Yes, especially if you have someone to play the game local co-op with (may not be as good value single-player but there's always a high score to beat).